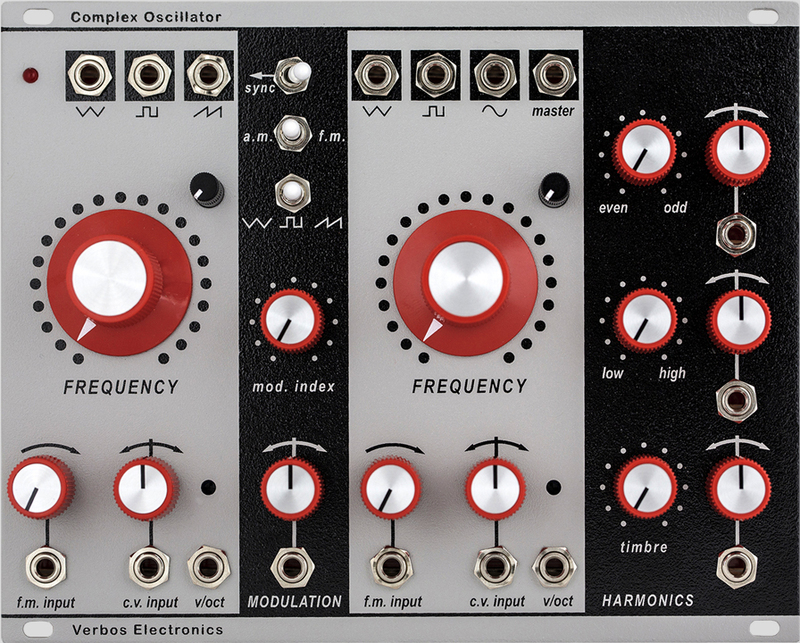 these MODULES by VERBOS ELECTRONICS are strongly Buchla inspired, the demo video shows the old Buchla 200 and so here it is..
and here is another new thing – harmonic oscillator – this means the 1-8th harmonics can be controlled and seen as a simple additive kind of osc plus standards – so you have a nice source – even for FM or something that needs subtle variation from sine to „more than triangle“..
aaaand – the multi purpose Envelope / LFO / Sequencer – Thingy called the VOLTAGE MULTISTAGE..
As a sequencer, it has switchable slides and gates on each stage. Gate are output musically to match slides and stepped stages. As a multistage envelope, any stage can be the sustain. Stage „TIME“ can be voltage controlled. The „ref.“ output is a falling ramp the length of the entire stage. This is usable as a decay envelope the length of the stage. When the „strobe“ input is pulsed, the setting of the „analog“ control and CV input selects the stage. 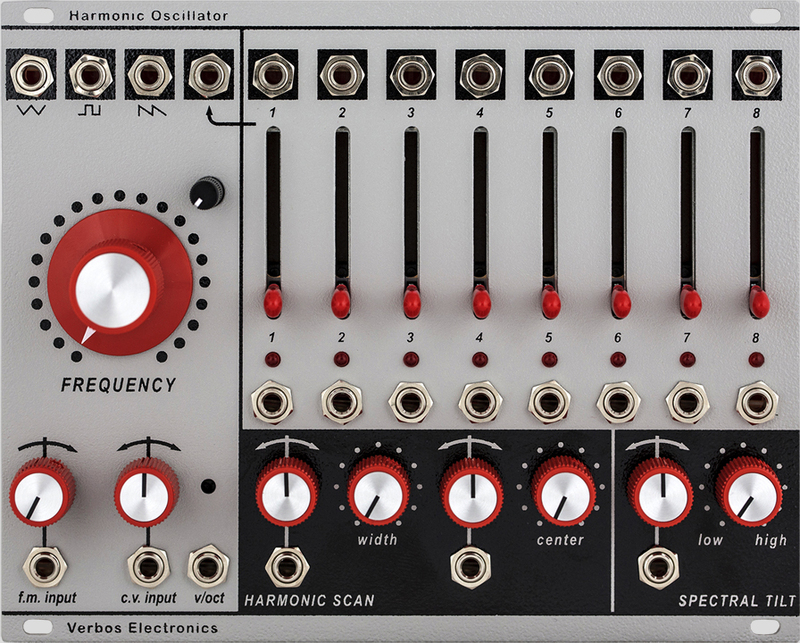 This is usable as a reset or to jump to any specific stage of the sequencer. Zurück Elektron Analog Rytm with 12 dynamic pad + Waldorf Rocket-Style Filterbox?